Managing quality of service (QoS) in an integrated network is a challenge. VoIP (Voice over IP) and many other real-time streaming applications make use of RTP (Real-time Transport Protocol) to carry their data. RTP provides distributed connectivity, spreading load across the network and eliminating single points of failure. 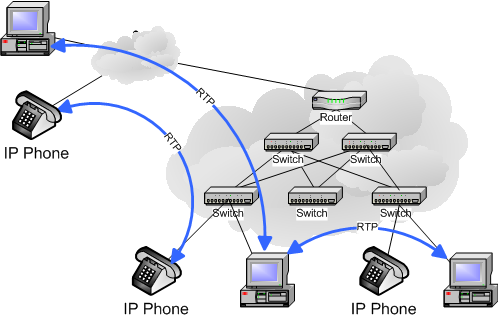 However, the distributed nature of RTP makes managing VoIP quality of service a challenge. Real-time traffic can take any path through the network making it impossible to simply attach a measurement device and observe all the RTP streams. The network-wide monitoring capabilities of Traffic Sentinel allow it to identify quality of service problems wherever they occur, and it's detailed analysis capabilities quickly identify the root cause of any quality of service problems.